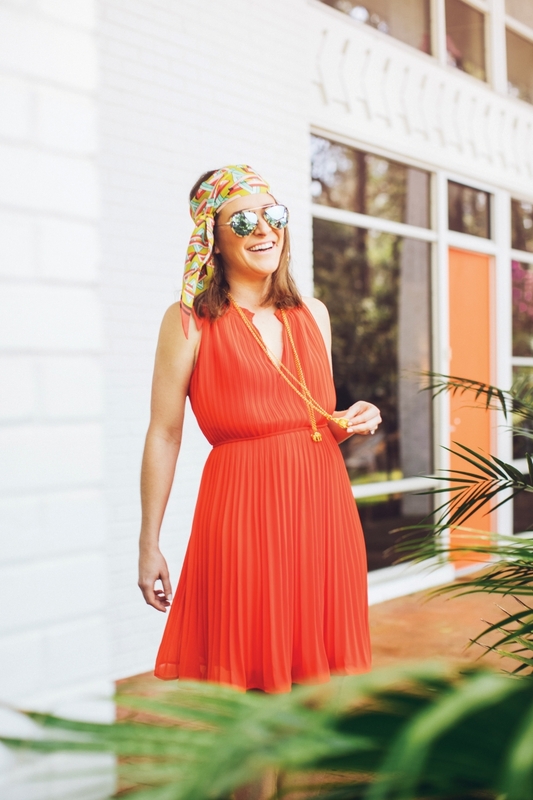 Five local tastemakers wear the latest spring looks that perfectly show off their design sensibilities. A lifelong Mobilian turned globetrotter, Webb traveled around the South and eventually across the globe for her education, studying at the University of Alabama, The College of Charleston and Lorenzo De’Medici in Florence, Italy. Her artwork is featured in collections around the world. 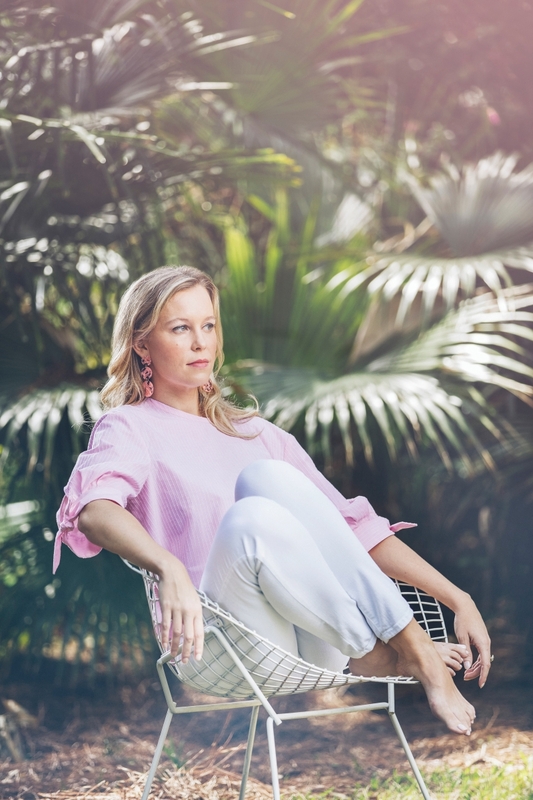 However, the wife and mother of two didn’t wander far from home for long, settling in Fairhope to establish her career at Rebekah Webb Studio, where she creates branding, fine art and mixed media design for clients. On Rebekah White lace bell-sleeve blouse (Sway). Blue and pink floral button earrings (Hemline). Pink cotton top with tie sleeves (Tara Jarmon, CK Collection). White jeans (Flying Monkeys, Sway). Pink translucent earrings (Hemline). A graduate of the University of Mississippi, Zukley received a B.A. in Art with an emphasis in painting and graphic design. Her brand, Kimberly Z. Artwork, is noted for its animal hide and reptile skin motifs. She and her family live in Mobile, where she creates bold paintings and sells originals and prints in local galleries. On Kimberly Orange pleated dress with tie waist (Sway). Print silk skinny scarf (Franco Ferrari, Debra’s). Necklaces (Julie Voss, Estate Jewelers of Fairhope). Hand-tooled sunglasses (Maho Shades). White lace dress (BCBG, Hemline). Turquoise button earrings (Debra’s). Art was a lifelong hobby turned profession for Ogburn, owner of Kelley Ogburn Studio. 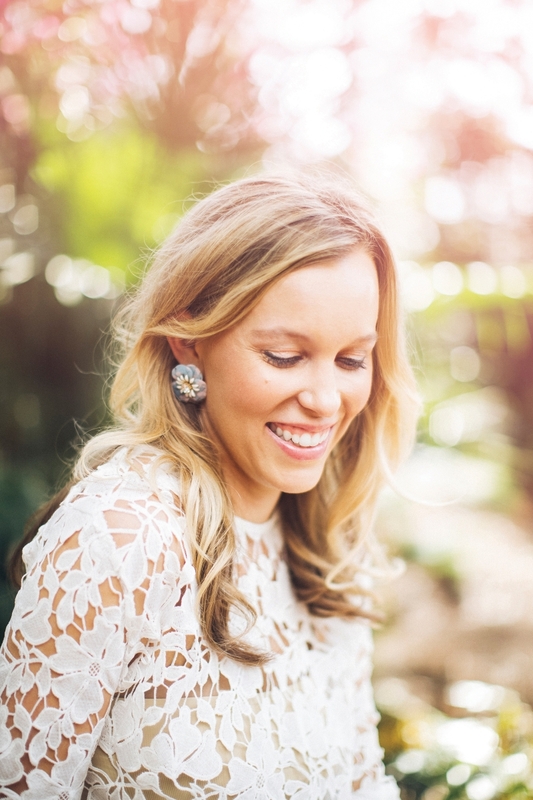 The talented Auburn University grad landed advertising and editorial art director jobs early in her career. Following the birth of her two children, she became a painter full-time. Since 2014, Ogburn has run her studio from her home in Fairhope, where she sells her work and creates custom commissions. On Kelley Pink silk chiffon blouse with flutter sleeves (Alice + Olivia, CK Collection). White jeans (Flying Monkeys, Sway). Over-sized multicolored hoop earrings (Hemline). opposite Bright coral shift dress with zipper back (Alice + Olivia, Debra’s). Natural raffia earrings (Sway). Bangle bracelets (Julie Voss, Estate Jewelers of Fairhope). Hand-tooled sunglasses (Maho Shades). The Chattanooga-born mother of two always dreamed of playing the roles of artist and mom. After earning a B.A. 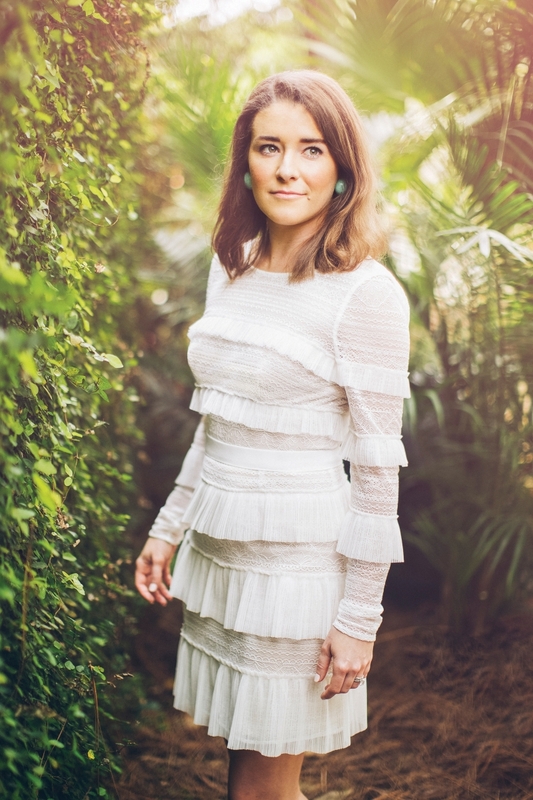 from the University of Mississippi with an emphasis on graphic design and a minor in English, Binion moved to Mobile with her husband and opened Hadley Binion Designs in 2008. Ten years later, she still works diligently in marketing, branding and graphic design projects for clients throughout the Bay area and beyond. On Hadley White pleated flowy blouse (Sway). Jeans (Sway). Necklace (Julie Voss, Estate Jewelers of Fairhope). Hand-tooled sunglasses (Maho Shades). 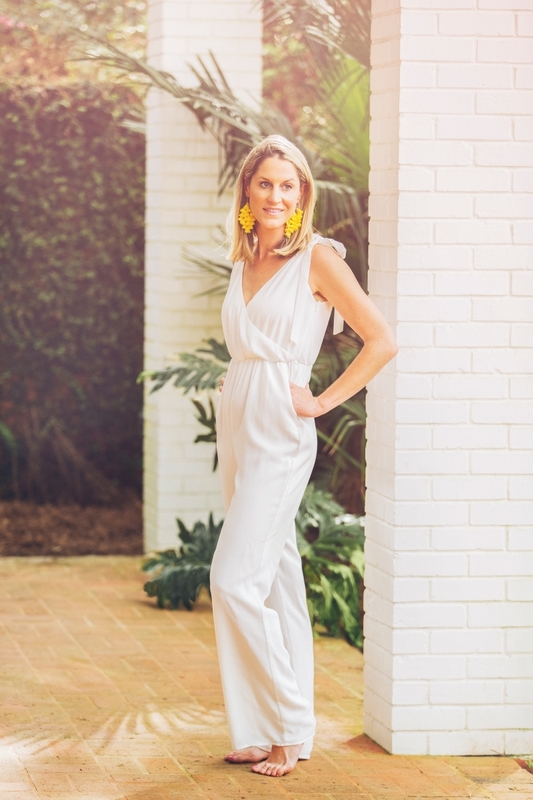 White tie-shoulder jumpsuit (Sway). Yellow raffia earrings (Sway). A public relations and marketing professional and entrepreneur, Jenkins is the owner and president of JJPR, a boutique public relations agency. After earning a communication degree from the University of Alabama, she gained over 20 years of professional experience and was accredited in public relations by the Universal Accreditation Board. 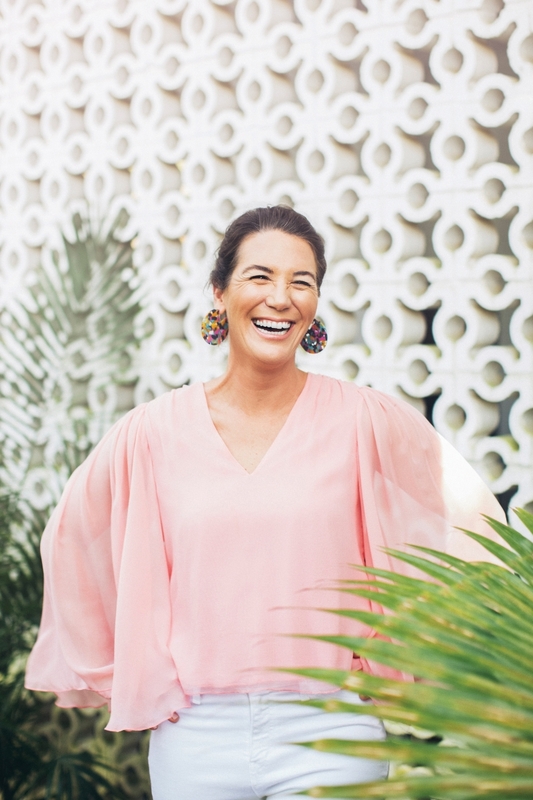 In 2010, she opened the firm to combine her love of family, storytelling and connecting others through meaningful relationships. On Jennifer Black cross-neck bathing suit (Seafolly, Sway). Tropical print cover-up (Sway). Lapis stud earrings (Sway). Oversized sun hat (Physician Indoors, Sadie’s). Red floor-length dress (Blaque Label, Hemline). Raffia beach bag (Pitusa, Sadie’s). Gold hoop earrings (Sway). CK Collection • 320 Fairhope Ave., Fairhope. 990-9001. Debra’s • 4068 Old Shell Road. 343-7463. Estate Jewelers of Fairhope • 309 De La Mare Ave., Fairhope. 990-8854. Hemline • 4356 Old Shell Road. 287-6875. Maho Shades • Orange Beach. 844-MAHO-SUN. Sadie’s • 5 S. Section St., Fairhope. 929-3222. Sway • 324 Fairhope Ave., Fairhope. 990-2282.